Wauies – Animal Games – Play free now! Wauies – Run your own Pet Shop! Pure, unadulterated animal game fun awaits you in this fur-filled browser game! After all, in Wauies, you’ll have the one-of-a-kind opportunity to open your pet shop, full of fluffy kittens and playful puppies. If you like dog games and cat games, you will love Wauies. Take your first step in the business world as the new owner of a modest pet shop. Your goals are ambitious: You want to turn the small shop into a flourishing superstore with anything and everything a pet owner could want. The happier your animals are, the more comfortable they will be, and the easier it will be to find customers interested in your award-winning dogs and cats. And my – how many there are! Play with bouncy Chihuahua puppies, romp around with ever-hungry Labrador puppies, groom fluffy Ragdoll kittens and feed noble Persian kittens – just to name a few. Discover Wauies’ impressive blend of dog game features and cat game elements in this through and through delightful browser game! Look no further! 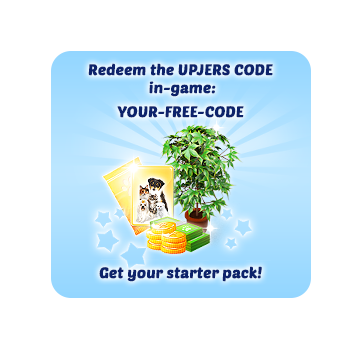 All you need to play Wauies is a free upjers account. This can be created with just a few clicks on upjers.com. Register for free and discover numerous free animal games. Discover the fantastic combination of online dog game and free cat games in Wauies. Lovingly detailed graphics, entertaining animation and countless customization options will leave you begging for more. Play with dogs and cats, trade with other players, make virtual friends and experience the captivating world of Wauies. The game is suitable for any fan of browser games, be it a veteran player or someone looking to play their first dog game online – so why hesitate? Wauies – upjers’ Vivid Animal Game Adventure! You’re interested in dog games or cat games? You’ve always dreamed of opening your own pet store? Then why not give it a go in a playful game setting? In Wauies, you’ll slip into the role of a small business owner and take care of all the day to day tasks in your own virtual pet shop. Try your hand at interior decorating, take care of your animals in all sorts of ways – from training a personal pet in the store to feeding, grooming and playing with the other animals. The more at home your dogs and cats feel in the store, the more customers will come calling, which in in your best interest. After all, you want to turn your modest shop into a pet paradise! Keep Yorkshire Terriers, Maltese puppies, and all sorts of cats in diverse and compelling pens. Organize fantastic accessories and equipment for your pets and discover the fascinating genre of animal games for free. Wauies unites online dog game features with fantastic cat game elements, in a compelling browser game that appeals to dog fanatics and cat lovers alike, by offering the best of what free cat games and dog games have to offer. If you want to try animal games online, you’re sure to fall in love with Wauies. After all, the game is influenced by a former upjers classic – the original Wauies. Play with dogs and cats and explore the impressive world of online animal games. Play dog games and cat games for free – open your own pet shop and enchant your customers with adorably, cuddly companions. Explore an extraordinary online dog game setting and play animal games free with Wauies!